Can’t choose between a city break and a few days relaxing on a beach? Thailand offers the perfect combination. THAILAND FACTS: Thai capital Bangkok is said to be the most visited city on the planet and is renowned as the world’s street food capital. 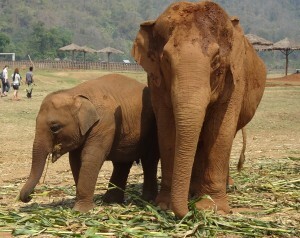 Its amazing food is accompanied by stunning temples – and almost permanent nose-to-tail traffic. The main tourist season is from November to April – the ‘dry’ season. High humidity levels during the wet season make it tiring for travellers as the 34 degree temperatures ‘feel’ hotter. 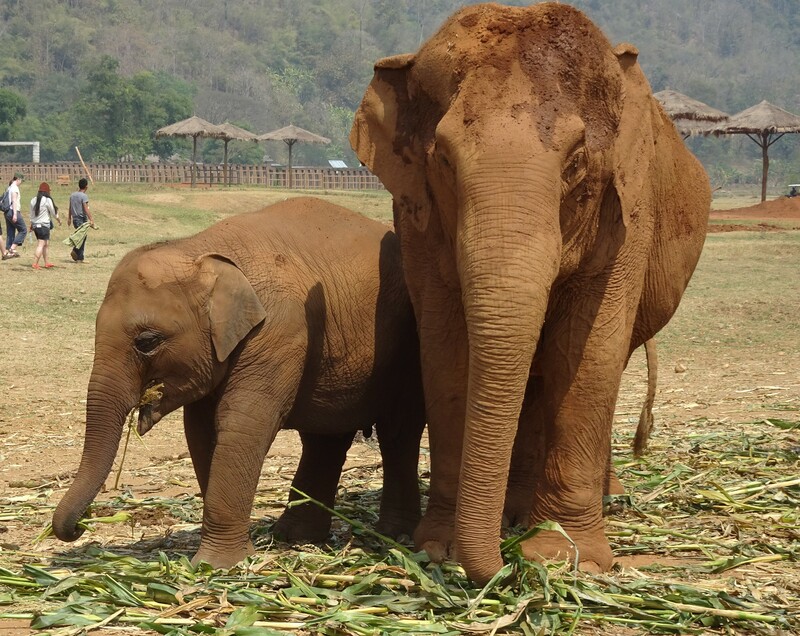 Thailand is known as the ‘Land of Smiles’ and is rightly recognised for its warm hospitality. There are two monsoon seasons – one on the west coast and one on the east. So do your research first before booking. If you’re planning a trip there next year, there are some great deals to Thailand in May and June that could make it cheaper than Europe. ARRIVING IN BANGKOK: Flying into Bangkok, you land at Suvarnabhumi Airport. I travelled with Aeroflot on a nine-hour overnight flight via its hub in Moscow, where I had broken my journey to explore the city – www.bristol-business.net/business-business-news-travel-7200-hours-in-moscow. To travel into the city centre from the airport, the sky train/metro system is one way to avoid clogged city roads during peak hour traffic jams. Individual airlines often offer great deals on specific hotels and to avoid having to battle too much with the traffic my tip is to opt for a hotel either near a river boat stop or next the area you really want to explore. The famous Ko San Road is ‘party central’ and a big draw for backpackers. But it’s also very near the Grand Palace, pictured above, so a good idea is to stay in a hotel on a side road, ideally near the river. BANGKOK HIGHLIGHTS: While the palaces and temples are well known, the stunning, shimmering gold roofs provide a spectacular skyline. 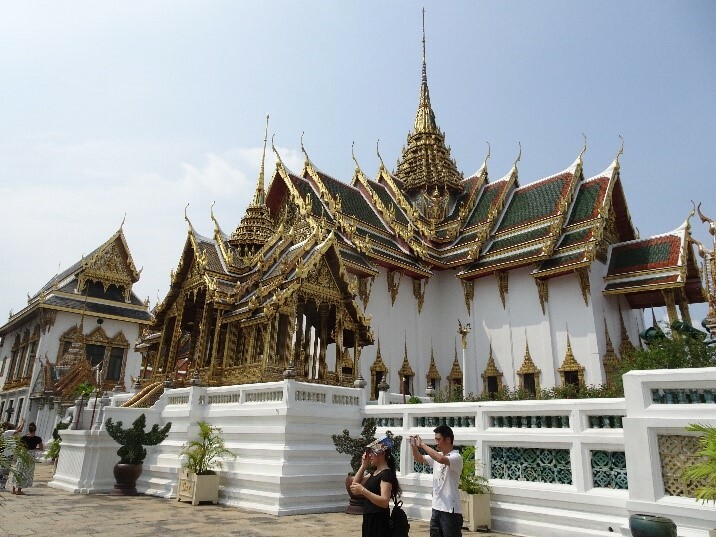 There are plenty of interesting temples and sites, including Wat Pho (the Temple of the Reclining Buddha) with its spectacular, 46-metre long reclining golden Buddha. It’s just next to the Grand Palace complex and is also an important teaching centre for Thai massage. Open daily from 8am-5pm. But with humidity levels high, walking is exhausting. So I kept my morning tour to a visit to the Grand Palace itself. This is actually a complex of buildings in the heart of the city. 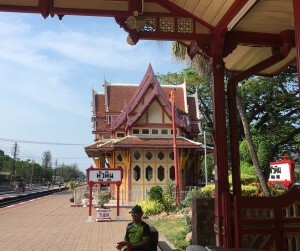 It’s also been the official residence of the kings of (what was then Siam) since 1782. Visitors are expected to ‘dress modestly’ – so no shorts, skirts with hemlines below the knee or no bare arms. The guard wasn’t happy with my sleeveless top even though I draped a big scarf over my shoulders. Luckily I had a long-sleeved shirt in my backpack. Wat Arun (the Temple of the Dawn) is on the opposite bank of the Chao Phraya River – just a quick hop by water taxi. But as this temple is in the glare of the sun it may be better to cool down with a river trip or visit one of the floating markets. Alternatively, treat yourself to tea in one of the air-conditioned luxury hotels. The iconic five-star Mandarin Oriental is easily accessible by river taxi, you just hop off at the Oriental River taxi stop. River taxis are like buses in Bangkok – a bit tricky to understand at first – but once you’ve got the hang of it they’re the best way to explore the city as well enjoying the cooling breeze. The Oriental has a stunning – and most importantly – air-conditioned lobby open to non-residents. An ice-cool ginger ale and banoffee pie cost around 150 Baht each and the cost for two to have a drink and cake, with local taxes, totalled 700 Baht (around £16). Expensive for Thailand – but worth it! TOP TIPS: Be prepared for the high humidity levels and carry plenty of water in your backpack. Also beware ‘guides’ and taxi drivers who stop you on the way to your destination, telling you the temple you’re heading for is closed for the day – then try and tempt you onto their individual tour. TRAVELLING AROUND THAILAND: Air travel is comparatively cheap and it’s relatively easy to arrange a connecting flight from Suvarnabhumi Airport or the domestic airport Don Mueang to destinations such as the stunning city of Chiang Mai in the north – with its elephant sanctuaries, pictured above left – or to head south or west to holiday islands such as Phuket. But beware that transferring between the airports can take around an hour – despite the convenience of a free shuttle bus. So do your research if you’re planning an onward journey. For example, Bangkok Airways operates some domestic flights Suvarnabhumi Airport that cost just £10 more than a cheaper airline that involves changing airports. 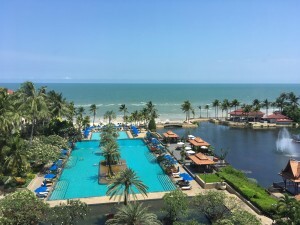 Some hotels in the resorts will collect you from Bangkok – we headed off to Hua Hin and the five-star Dusit Thani resort hotel in the back of an air-conditioned limousine taxi (three people sharing a Toyota Camry costs £33.34 each). The journey took just under three hours. 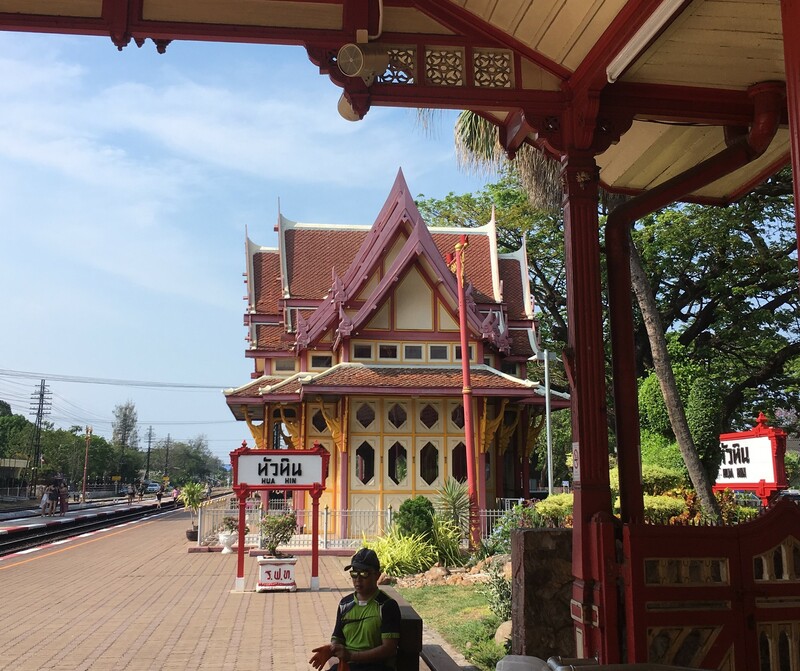 However, we returned to Bangkok by train from Hua Hin’s pretty station, pictured above right – a four-hour journey that was cheap but hot. A word of caution – just don’t sit near the loo like we did as it was rather smelly! HUA HIN: A peaceful and pretty beach town on the Gulf of Thailand famous as the Thai royal family’s favourite summer holiday spot. 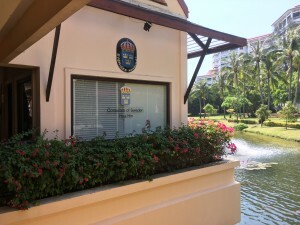 The Dusit Thani, pictured left, has extensive gardens, a spa, an impressive fitness centre – offering sunset yoga and free Tai Chi sessions – two swimming pools, squash and tennis courts with golf nearby and jet-skiing on the beach. And also great business facilities and a major conference centre if you’re combining business with leisure. I bumped into the Thai prime minister – complete with bodyguards – who was holding a press briefing at the hotel. Surprisingly, the complex is home to the Consulate of Sweden, pictured below right, which was set up to serve the large, ex-pat Swedish community settled along this stretch of the coast. The choice of food and drink was amazing. Breakfasts ranged from delicious fresh fruits, including pineapple and papaya, to phad thai (stir-fried rice noodles with shrimps, egg and beansprouts), pancakes and scrambled eggs with salmon. Chefs are also on standby to rustle up freshly prepared omelettes and they’ll even grill you a beef fillet if you’re hungry. In the evening, buffet dinners include a seafood special with every manner of prawn and lobster. 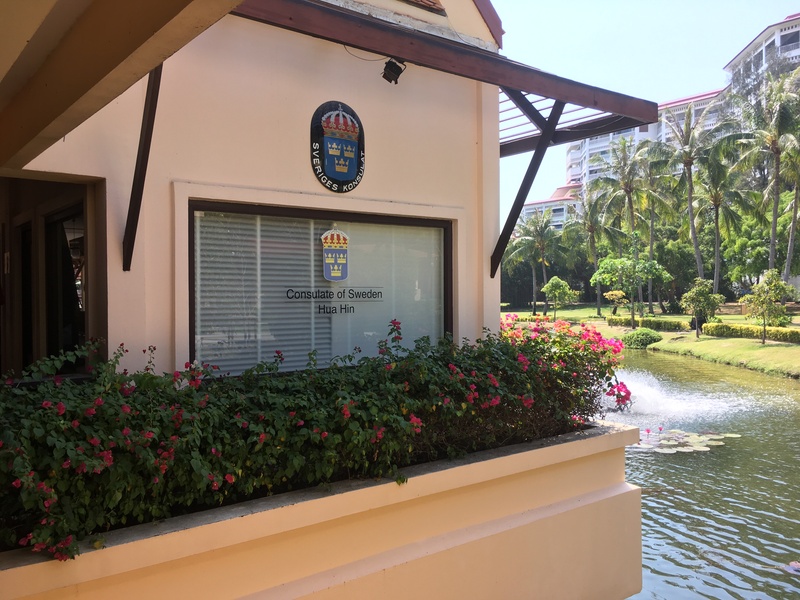 The hotel operates an hourly minibus service the three miles into town, allowing you to sample the local restaurants and markets, including the renowned Sunday night street market. TOP TIP: It’s well worthwhile paying extra to stay in an executive room. This gives access to the seventh-floor executive lounge with free snacks throughout the day and free pre-dinner cocktails from 5.30pm-7.30pm as you gaze over the blue ocean.